Granted, the newly shared image is only a Photoshop, but the hearts of fans still seem to be melting at the sight of Goose posing with Chris Evans, Chris Hemsworth and Robert Downey Jr. While the three humans in this picture are likely on the verge of dropping out of the MCU, surely there’s no harm in dreaming that Captain America, Thor and Iron Man might somehow cross paths with the cat in this month’s release. Incidentally, Endgame co-director Anthony Russo was recently in an interview with Fandango where he was asked if Goose survived the Infinity War snap. In response, the filmmaker claimed that this was a subject he “cannot comment on at this point,” prompting a little speculation that the upcoming film may confirm the Flerken’s fate. Either way, given the big impression that Goose made with Captain Marvel audiences, there’s a very good chance that the character will make a return sooner or later. One possible vehicle for her comeback, for instance, could be Captain Marvel 2, which Marvel Studios head Kevin Feige has hinted might be another period flick that picks up where the first movie left off. 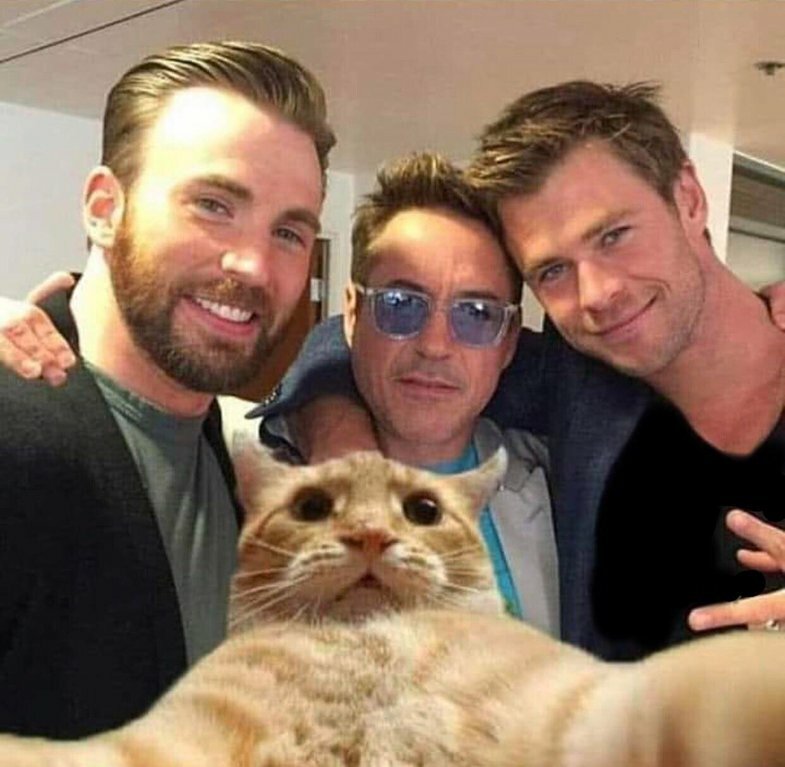 In the meantime, we’ll keep our eyes peeled for the cat when Avengers: Endgame hits theaters on April 26th.